All the beef served at Graze is pasture fed and grain finished, raised on the pastures of Colly Creek at Willow Tree, approximately 2kms from the restaurant. Only the best steers are selected for our in-house dry-aging room, which is visible from Graze Restaurant. The dry-aging room has a viewing window so customers can see this specialised process. The Graze menu changes with the season, showcasing only the freshest locally sourced ingredients. The Graze Bistro is family-friendly and doubles as the perfect setting for weddings, private events, and corporate functions. The large room features an open fireplace and three 100-year-old Ironbark timber beams. Charles and Cheryl acquired the historic Willow Tree Inn in 2009, having four years earlier, purchased Colly Creek Pastoral Company, a 6,000 acre Black Angus cattle property, also at Willow Tree. Together, they set out to virtually rebuild the Circa 1913 Historic Pub from the floorboards up, while still operating the Front Bar during the building and renovation process. Charles looked after the construction side using all local tradespeople and Cheryl oversaw the interior design and decor. The end result is a unique, family-friendly country pub that has retained its historical heritage, but now includes the Award Winning Graze Restaurant, Graze Function Room, two Bars, and Accommodation, comprising 16 beautiful Boutique Rooms and Suites. Charles was the Founder of Hanna Match Group at North Richmond NSW in 1967 and as Executive Chairman, expanded the business into printing and cardboard packaging. The business then became known as Hannapak and their son Sam joined the company in 1996 as Sales Director and then Managing Director. After 50 years of continual growth, the Hannapak business, excluding the North Richmond Factory Site and Park, was sold to WestRock USA in 2017. At that time Hannapak had become the largest privately owned folding carton manufacturer in Australia, employing in excess of 240 full-time staff at their North Richmond Head Office and factory. Working within renowned hotel chains within the Sydney CBD and surrounding areas, plus at Chateau Lake Louise in Canada, has provided Katrina with 15 years’ experience within the hospitality industry. Deciding on a career change at the 15-year mark, Katrina moved into Accounting. On the completion of her studies, Katrina’s career eventually saw her take up a position at Hannapak, North Richmond and from there venturing on a tree change to Willow Tree. This move gave Katrina the opportunity of combining her accountancy experience with her hospitality experience. The move has also enabled Katrina to expand that accountancy experience and general knowledge by administering the accounts for Colly Creek Pastoral Company. At the Inn, Katrina finds great satisfaction in working within the combined roles. Katrina enjoys the country life interacting with our regulars and all our guests. Outside of the working environment, Katrina has been made most welcome in various sporting clubs and her daughter is heavily involved in horse riding. Sonia has had to a diverse range of culinary experiences, styles and training over the course of her career. The last 15 years of Sonia’s career entailed prominent roles in the highly regarded restaurant scene of the Hunter Valley Wine Country NSW. In the early 90’s, Sonia successfully opened two of her own restaurants in the region, The Cracked Bottle and The Water Hen. Late 90’s saw her moving on to executive chef roles for Terrior Fine Dining, Hungerford Hill, Pokolbin NSW. Sonia was an executive chef for Hunter Valley Gardens consisting of fine dining, three successful pubs and concerts for up to 10,000 people. Her catering knowledge increasing further in the executive role for Wine Country Catering, Pokolbin NSW, tending to multiple high end weddings and events each weekend. More recently looking after The Booloominbah Collection at The University of New England. Her achievements also extend to being the chef responsible for the writing and creating of all dishes for two books, “Curve” and “Vibe Entertains” for Vibe Hotels Australia. Sonia’s move to Graze at the Willow Tree Inn sees her fulfil a desire that she has had to do so over the last few years. 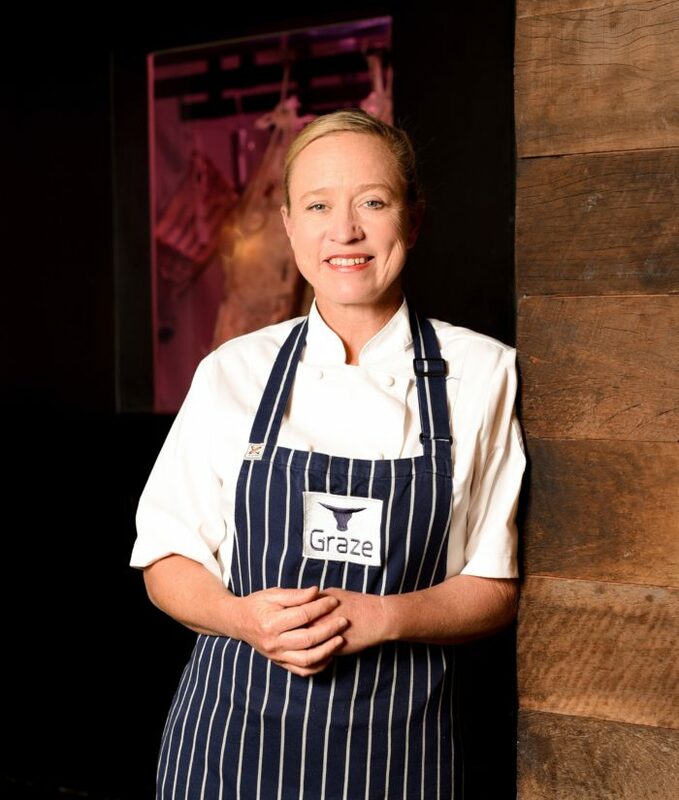 Her nurturing nature and desire to succeed is her driving force to see the team at Graze achieve further success and delight local palates in an elegant regional dining experience. 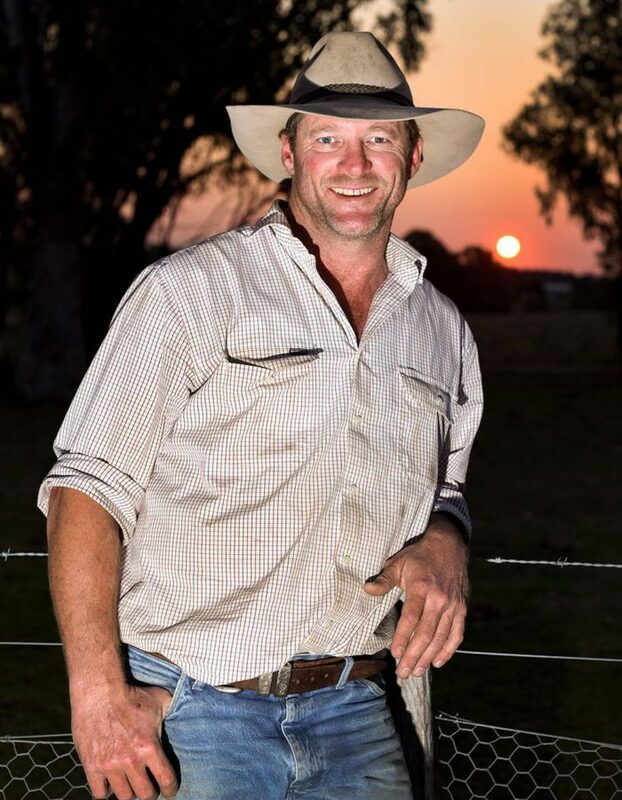 Interest in farming and cattle was sparked at an early age with James being born and raised in Gunnedah, North West NSW on his family’s cropping property. After exploring another area of interest, sports science, at Wollongong University, James moved to London for a time where he worked and traveled. On returning to Australia, the call of the farm lured him back to his first love – breeding and fattening cattle in their family feedlot. Moving their young family to the higher rainfall area of the New England saw James and Meredith become even more interested in breeding quality Angus cattle as well as farming, contracting and pasture improvement. The move to Colly Creek Pastoral Company in early 2017 has enabled James and his family to continue doing what they love while giving them the opportunity to immerse themselves in the Willow Tree community. 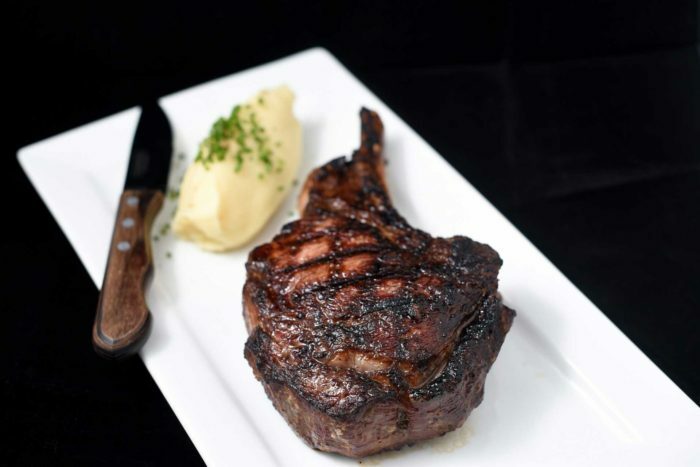 James is responsible for ensuring that all Colly Creek Beef supplied to Graze Restaurant is of the highest quality, with regard to marbling, tenderness, and flavour. Clara was born in Annecy, a town located in the French Alps. She studied accounting and management until age 18, then decided to change her career and move into hospitality and catering. When Clara was 21, she was promoted to Floor Manager in a fine dining restaurant and cocktail bar. During her holidays, Clara loved to travel and visited many countries around the world. Clara’s interest in travel and wanting to develop her skills had her make the move to London in 2010 where she worked at a famous steakhouse in Chelsea. This experience was her first introduction to specialised steak restaurants and allowed her to further progress in the hospitality industry. In 2014, she landed back in France and was given the opportunity to manage an Italian fine dining restaurant. 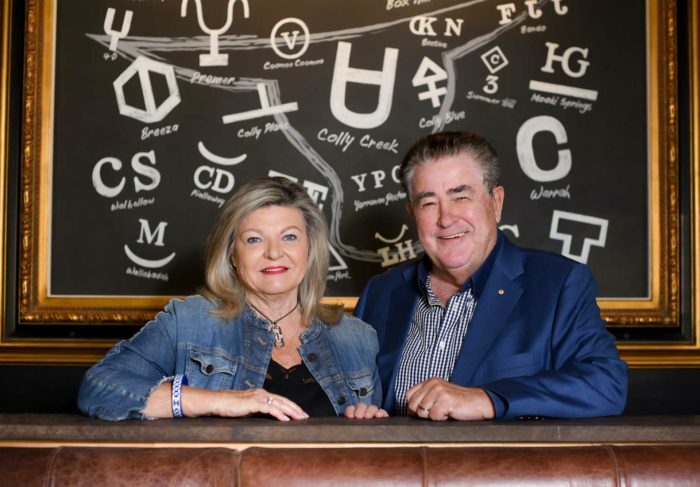 2016 was the year that Clara moved to Australia, first stopping in Melbourne where she increased her knowledge of fine wines from both Australia and overseas. 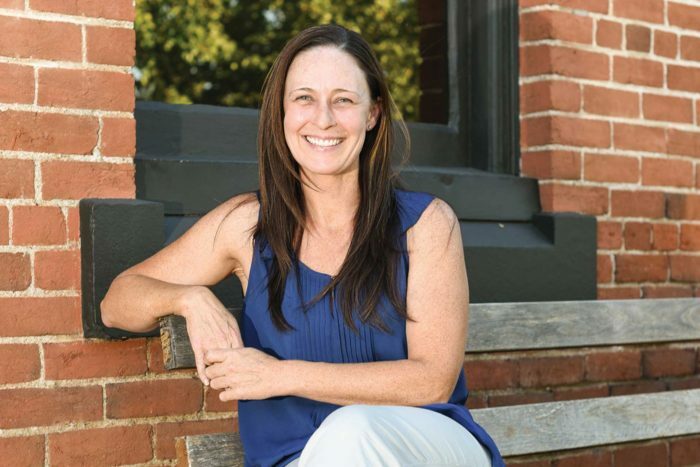 After numerous trips around the country, she found her roots in Willow Tree in 2017. Being keen to learn and develop new skills, Clara worked on a cattle property and learnt about the beef industry and in particular, the paddock to plate process. 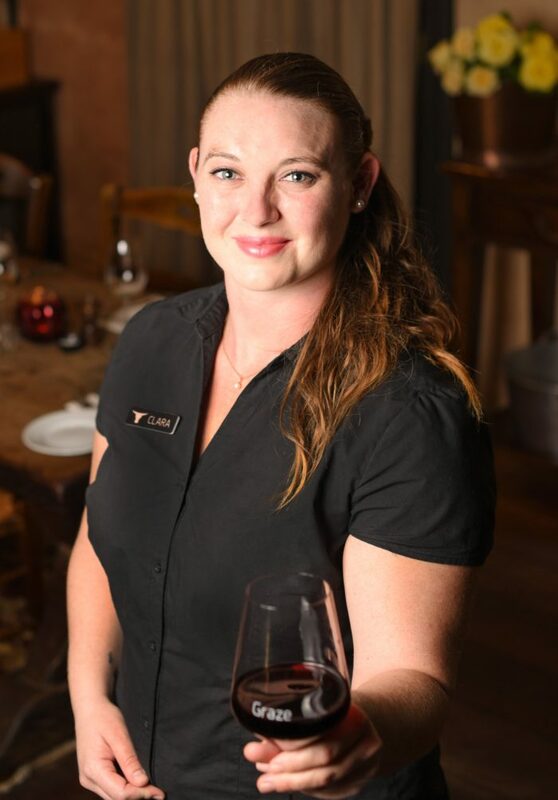 In January 2019, Clara started working at the Willow Tree Inn and accepted the role of our Graze Restaurant Manager. Clara is passionate about her job and will go above and beyond to make you feel comfortable and welcome. Jackie was born and raised in Gundagai NSW and moved to Sydney when she was 19. Jackie had previously completed studies in dress-making which gave her the opportunity to work as the second in charge at a Spotlight store, while also working behind a bar to make ends meet. Jackie left these jobs to raise her first child and then spent the next 8 years as a devoted stay at home Mum to her three children. 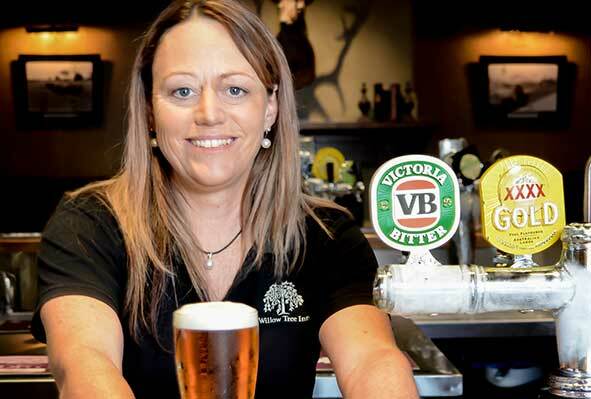 Once her children were a bit older, Jackie moved to a small cattle and sheep farm at Werris Creek with her family and found herself back behind the bar. 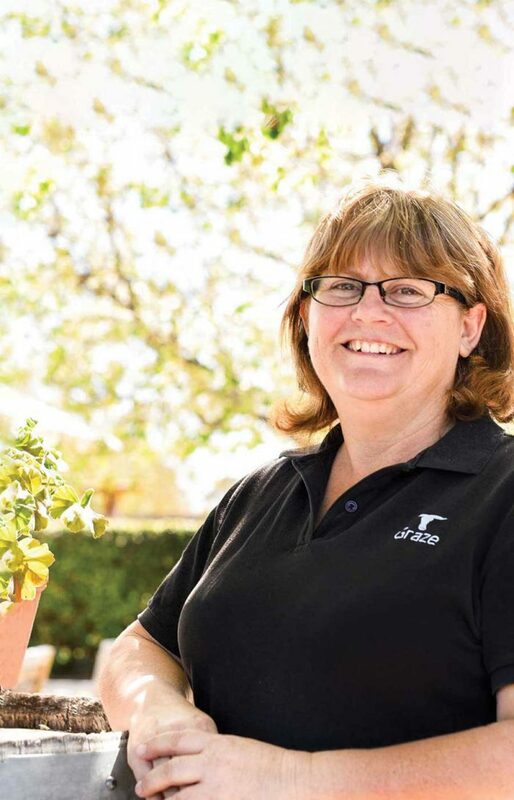 Jackie worked at a few Hotels around Werris Creek and Tamworth before commencing employment at the Willow Tree Inn in 2012. Jackie is the friendly face that greets guests upon arrival at the Hotel. Juanita joined the Willow Tree Inn as Head Housekeeper in 2011. She is a fourth generation resident of the area and has great knowledge of Willow Tree, Quirindi and the Liverpool Plains. If you want information about the area, talk to Juanita during your stay and she would be more than happy to help. Also, if you need any extra amenities in your room during your stay with us, just ask Juanita. The Graze Bistro is family-friendly and doubles as the perfect setting for weddings, private events and corporate functions. The large room features an open fireplace and three 100 year old Ironbark timber beams.